Illinois has a tradition of inept government, and while some people would like to see changes and reform efforts, the system tends to favor the status quo. Witness initiatives to add term limits to elected officials. Both gubernatorial candidates, Bruce Rauner and Pat Quinn, support term limits, though Quinn has found that position a little less pleasing now that he’s attempting to win a second term. Avast! All hands report to the main deck! In Beemsville, we’ll take our home projects just like our Illinois State Government: large, over budget, inefficient in execution, and behind schedule. 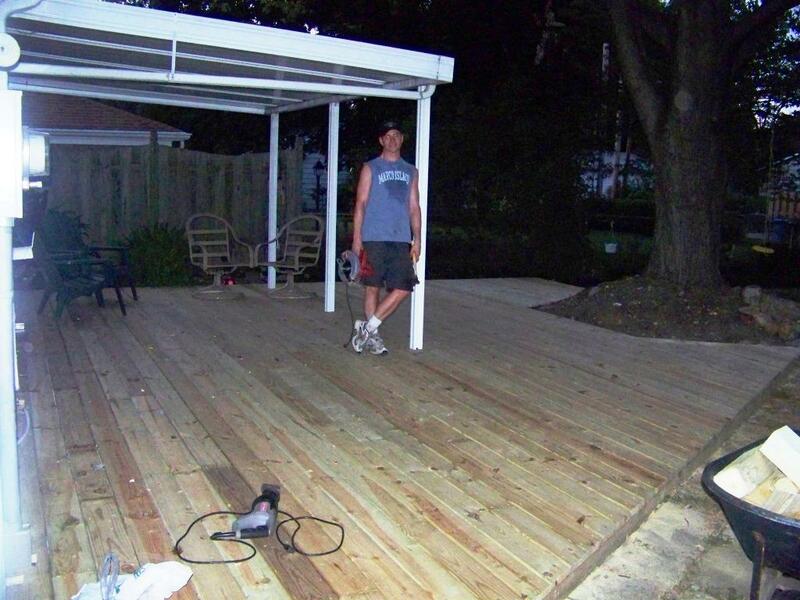 As with state government, the deck project was heavily dependent on others. Instead of tax dollars, special interests, and the willingness of various banking institutions to lend money, we depended on the help of friends and neighbors and their willingness to lend tools. As with our beloved state government, the original design and framework of this deck was sound and solid but become increasingly half-assed towards the end. We can only hope it doesn’t suddenly collapse at some point in the near future. Just like the legislation and budgeting process in Springfield requires many expensive and confusing trips back and forth to the capital, this deck required many expensive and confusing trips back and forth to Menard’s and Lowe’s. And in the end, though it may seem sturdy or even impressive, it won’t please everyone, and it’s flaws will certainly become apparent over time. The news of Athletics Director Ron Guenther’s impending retirement after nearly 20 years has set Illini Nation a-speculatin’ this week. Who’s next in line? Why now with no Chancellor in place? What does this mean for Coaches Zook and Weber? Ethics. Guenther has insisted on NCAA compliance since his first days as AD, calling “the integrity component” of his tenure one of his proudest achievements. The Illini have been squeaky clean for two decades – a contrast from the 60s-80s. Now consider the ethics of such stalwarts as Mike Madigan, Blago, and Quinn. The cynics among us might say there’s no place in Illinois politics for ethics and integrity, but we’ll ignore them this time. Fiscal Responsibility. According to the Venerable One and others, Illini Athletics have operated in the black for many years. That’s right: Guenther brought in more money than he spent. Just chew on that one mentally for a moment as you consider Illinois government. And this as Guenther and the UofI improved the athletics facilities, including several big projects. Detractors may claim that this is actually a weakness – that Guenther should have splashed around more cash, especially when going after certain coaching positions, but that’s a whole other argument.